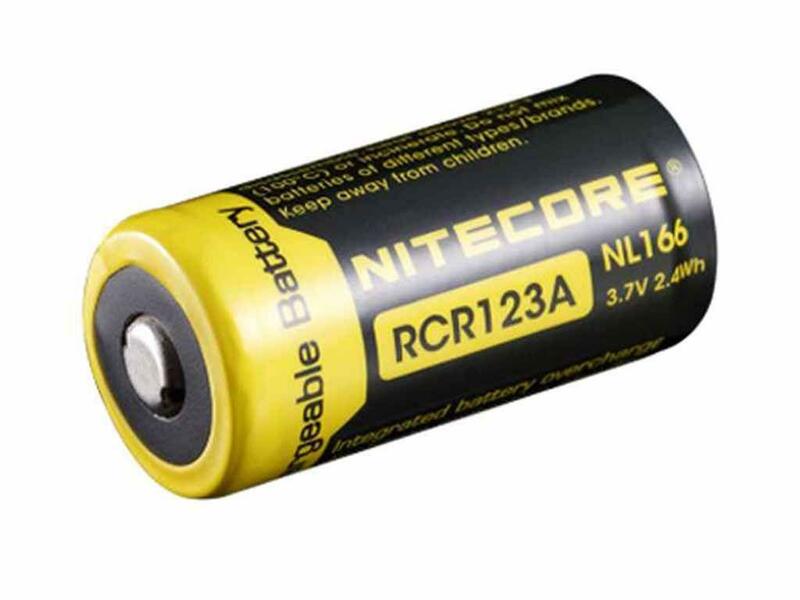 Buy Cheap Nitecore RCR123A Li-ion Rechargeable Battery |ReplicaAirguns.ca | New Website! Comments: These rechargeable RCR123A batteries are perfect for high drain devices such as the intense LED flashlights from Nitecore, video game consoles, appliances, and more. The RCR123A cells are protected from overcharging and discharging, so they can last you a long time. Being able to recharge the cells more than 500 times ensures you'll have power for all of your devices. The RCR123A batteries are equipped at both ends with a nickel-plated S.S. protector ensuring high impact resistance, good electrical conductivity and oxidation resistance. To prevent against abrasion the cells are coated with a durable metallic film, as well as the circuit board being coated with tough plastic. The innovative anode was designed to resist high temperatures, while the microporous barrier protects the delicate internal components.